When you look closely and see the influences yoga has had on Western culture since Swami Vivekananda first introduced it back at the turn of the 20th century. Around years 1900 – 1920’s alone it spawned the “New Thought” and Theosophy movements spear headed by Madame Helena Petrovna Blavatsky and William Walker Atkinson who under many pseudonyms wrote hundreds of books. The most famous of course being the “Yogi Science of Breath” a primer on breathing, which is the heart and soul to all Yogic, Ayurvedic and Self-Healing practices. In this article, we are going to look at the practice of using sound in various ways that come from the Mantra and other Indian origins that have spread to many lands and over the course of years and have been used in many forms Healing, Self-Mastery and Self-Evolution. 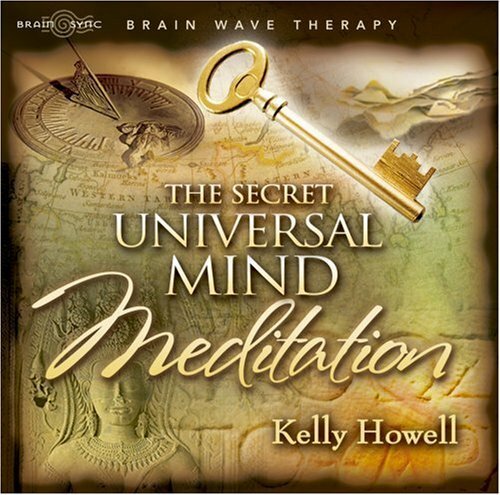 Kelly Howell is also famous for her ability to use her voice to take you into the realm of meditation simply and quickly. Which she then imparts the sacred truths of the spiritual masters, gleaned from ages past to teach you “The Secret” which can help you change your life today! 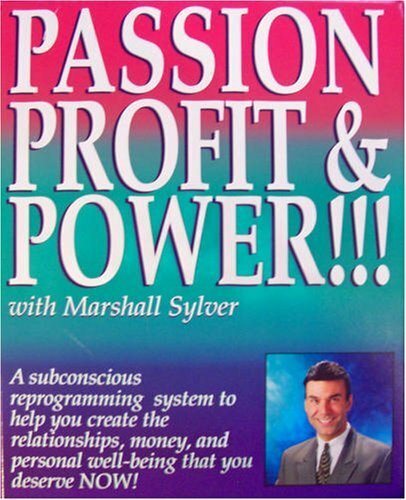 This program uses Audible then subliminal messages just below your level of consciousness to align you with the teachings of “The Secret” so it can work in your life. Unique frequencies emitted by the human body. We are composed of pure energy. You will learn about the amazing power of the body to heal itself naturally, through study after fascinating study. You will hear about new findings on energy healing and much more. Founder of an organization (Sound Healers Association) focused on using the ancient Tibetan and Yogic chants to raise consciousness through the stimulation of the Chakras as taught by Tibetan masters under the tutelage of the Chant Masters of the Dreprung Loseling Monastery. 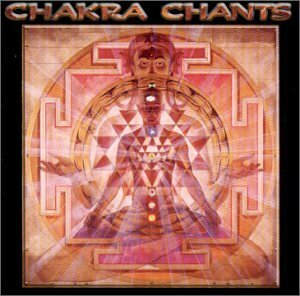 You will listen to over an hours of chants that focus on the 7 Chakras starting with the base and rising through your spine to reach the crown of creation. This and another CD called “The Ultimate OM” combines to raise you to a level that many take years to do with just breathwork and practicing Asana alone. 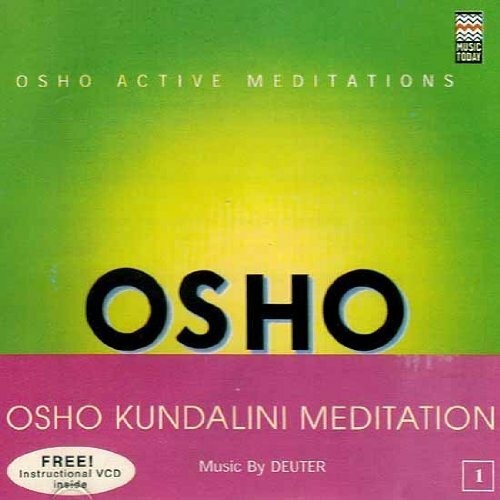 OSHO has been around for many years and even though his organization through the various name changes has come under fire for several of his practices, no article would be complete without mentioning him in passing as his methods do effect and change the mindsets in many thousands of individuals every year worldwide. Of course before engaging in any of these practices using these or any audio programs you should verify “WHAT” the messages are first, before letting them into your subconscious and that they are in harmony with your value systems, life philosophy and religious beliefs. All the programs we are discussing in this article have the power to change you and you must be in agreement with that change, prior to undertaking listening to any of them. 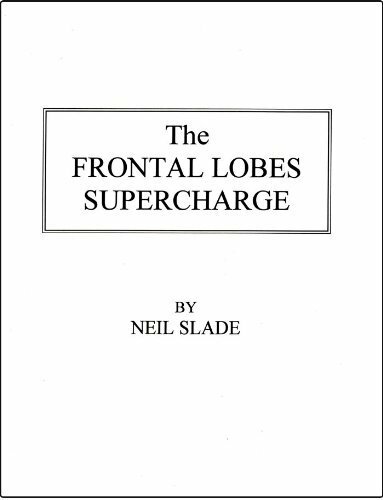 An extensive 4 CD set of information and using just his voice Neil will impart the knowledge to help you throw the switch to turn on the other 90% of our brains than many believe hold the secrets of paranormal abilities and the power of vibrant health and vitality. These CDs are informative and teach you the techniques that enable you to focus you consciousness and ramp up the energies of mind and body together. Elements of both Positive thinking exercises and mood elevation techniques that can change your whole outlook on life, which you control at, will. You will learn about and how to control the reptile brain and how to block pain and perhaps with enough practice undergo a dentists visit without an anesthetic as this writer has done in the past. Secrets of health and longevity are revealed that can lead you to a healthy and more vibrant life. About how addictive behaviors and how they not only affect the world but why they affect your children and their future lives, right now. This audio program will change how you look at your World, Education and the things you do in daily life. In this seminal work we are shown how words can bring up our energy levels and make use stronger and also how words are used by our world to keep us down and powerless. The human body is designed like a gigantic ear and our very skin can pick up sound and transmit it directly to out brain through certain cranial nerves. By understanding how your vocabulary works you can change it from a weak uninspiring voice that no one hears or listens to, to one that commands attention, admiration and respect. This is important to anyone who is a leader, works with a team or is going to a job interview. You are given an infallible tool to find out if what you are watching or even reading is affecting you energy levels and one of the best ways that this writer has ever seen of discovered to judge whether a politician is lying or not. This is probably worth the price of the audios, Videos and book combined. It’s not the words, it’s the sounds of the words that affect us and the effect that they have on us can change our whole outlook on life, in some instances have driven people over the edge, and while in other instances have inspired people to do the impossible. If you remember the line, from the movie “Apollo 13”, “Failure is not an Option”, you will see the power of just this one sentence on thousands of people, and that can take defeat and turn it into a resounding victory. Life throws us enough curve balls; our language that we use may also be defeating us without our even knowing it. So isn’t it time you started looking at how you use your words and which ones they are? If you want, more out of life use “Words of Power” instead of weak or insipid words that have no effect on the people around you. Could meditation and prayer affect the healing processes? How do acupuncture, homeopathy, and healing touch work? Is it possible that the energy in our bodies is connected to the unlimited energy of the universe itself? 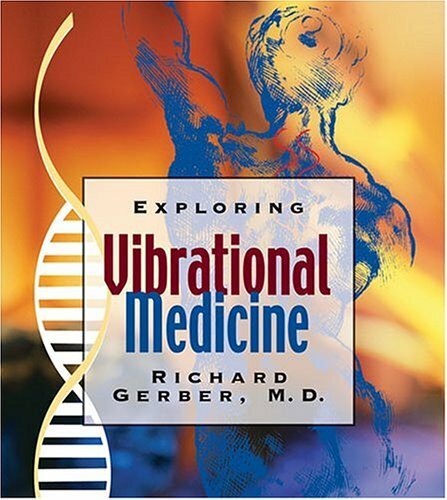 These are some of the fascinating questions that physician Dr. Richard Gerber began to ask and opened up a whole new area of healing, his revolutionary and groundbreaking theories views on healing systems has affected and help countless people’s lives and major hospitals and research centers have taken to using these methods to help their patients. If you want to go beyond the realms of ordinary healing techniques and learn about the extraordinary new ways being explored in energy and vibration medicine, then listen as Dr. Gerber will change how you look at healing and your body’s abilities to heal in an entirely new light. Denver Clay is a master musician and like Stephen Halpren can Change your mood and energize you with his music. But, team him with Ed Stracher and you have a self help program that even the US Navy stands up and takes notice of and is taught at the Naval War College. 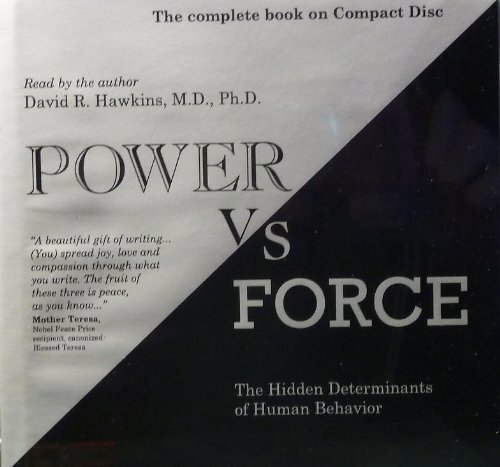 This writer was first introduced to ED and Denver and the Reading Genius program in 1979, where his commander who was in command of a billion dollar Nuclear Powered Fast attack submarine. He took the volumes of highly technical material and in only a few days was able not only absorb the material but then spend 6 grueling hours quizzing and querying this writer on specialized systems that he had spend years learning how to operate and employ. This commander was then able to not only, take in this vast amount of information. But, created new and innovative ways to use it and apply these systems in a live tactical environment, where lives were on the line and do so in a highly successful manner. He in later years then went on and became the Commander of The Pacific Fleet out of Hawaii. It took this writer a few years to track down this program and it’s highly acclaimed second and more powerful edition. The use of music accelerates leaning processes to an almost unbelievable degree, with a longer retention period, than is possible with our standard and shall we say outmoded education system used in America today. 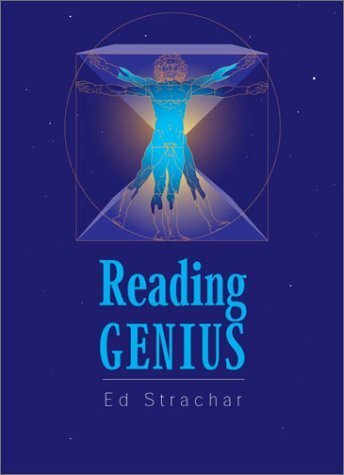 Reading Genius and Reading Genius II both can rocket your reading a learning ability beyond the limits you are currently familiar. In today’s world, the ability to learn a new job is a valuable skill in a world where entire classes of jobs are disappearing and your job and career could end without warning. The 3rd program in this series is called “Magical Concentration” and it will help you turn your mind on and focus it with laser like intensity to solve your problems and get your work done. Again, music plays a key role in the system. Remember all this can be traced directly back to Vedic texts and discoveries made about them by Georgi Lazanoff of Suggestopedia fame. This was the key to understanding the how the Mozart Effect and Superlearning methodologies work that has developed in the following years out of them. It of these is a valuable skill in its own right but when combined together in one program makes you and unbeatable and unstoppable Juggernaut of success. The power of the female voice has been know for centuries as a way to sooth and empower the psyche. 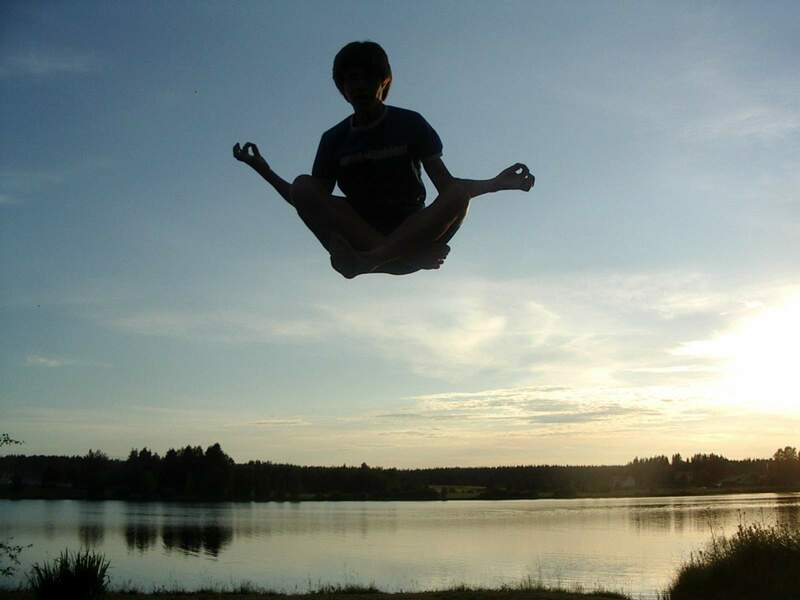 Ancient Vedic texts describe the training of the human voice as well as dance special exercises to raise consciousness. The Clergy in the west also know of the power of the human voice, which is why singing in a chorus has always been a part of the church. Gregorian Chants and other forms of rhythmic singing such as the GOHO Monks of Tibet are noted for this as well. Marla Craig and Lana Harder combine the human voice, along with guided imagery to teach you how to breath and lean to relax, when used together open the inner doorways to the mind and spirit. There audio program consists of 10 parts where the first 4 teach the fundamentals of breath and relaxation and the remaining 6 are guided imagery journeys that they take you on journeys within. The Monroe Institute is famous for using the Yogic theory of sound in conjunction with Brain entrainment. Which is where your ear hears two separate frequencies one in each ear and the brain will lock in with a third, which is derived from them. This third frequency, usually Alpha is used to take the brain into Altered States of Consciousness (ASC). In this case focusing on opening of the Third Eye, which many believe hold the key to secret knowledge, Psychic abilities and for explorations both outside and inside the various realms that surround us on different planes of existence. This audio program lasts for 30 minutes and as usual with audio programs of this type, should not be listened to while driving or performing activities where full attention is required. The power of the human voice has the power to persuade and compel others to believe in things that they would not ordinarily agree with of actually can change ones believe systems. This is why an audio of this kind is necessary for you to listen to. Not to have your beliefs altered, instead to demonstrate the techniques that are being used on you in a daily basis by TV, Politicians and even religious leaders. Adolph Hitler was able to manipulate the world and in his own country compel, with the power of his voice, his own people into committing the many atrocities of WW II. This is why people need to be able to defend themselves against such manipulation. 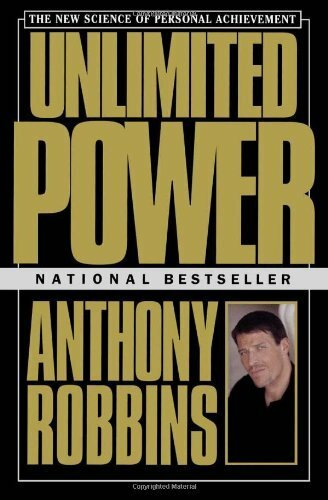 Unlimited power is Tony Robbins way of introducing you to the secrets of NLP and the use of the voice and linguistics to empower your life. Tony who got his start in helping people with cancer and teaching self esteem getting over their fears by having his students walk over a bed of hot coals unharmed. To this day, he often ends his seminars with a fire walk. But he also has a very serious side, which he used when he helped develop a marksmen program using the modeling techniques of NLP to model some of the best shooters in the world for the Army. This was under then Col. John Alexander’s famed “Jedi Program” of the late 80’s. In 5 days, students were taught the skills of master shooters and then had to qualify as marksmen. The success rate was impressive. A marksman could be created in 5 days instead of 3 weeks, as was the common practice. Metaprograms we all run on and how to use them to your advantage. With this audio program, you get an education on how NLP can change your life for the better and much easier than you might think. These are just a few of the subject that Tony goes into detail. After you finish this program, your life will change for the better, as you will be equipped with the techniques and tools to change your life and heath for the better. If you could only take one audio training program this would be the one. 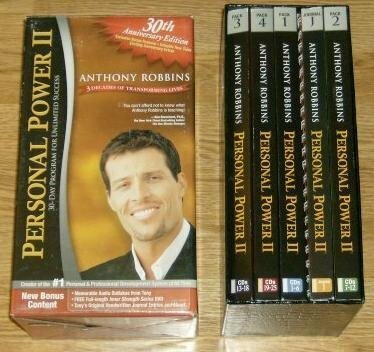 It is based on the many years of experience that Tony Robbins in his teaching, seminars and what he has learn in his travels from all over the world in his studies of the human mind and its potential for greatness. Just listening to the way he words his statements and his questions are designed to affect your subconscious mind at a deep level and program it for total success. You will find you will have a freedom of thought and deed you never knew you had before that lasts long after you have finish the program, even if you do nothing else with the material. Jose Silva’s program for self-development and freedom The Silva Mind Control method is known worldwide and has been translated into many languages and is one of the most respected self-help programs on the market. It has evolved from the original 12-tape system as originally taught by Jose himself into a worldwide organization of teachers and trainers led by his daughter Isabel and Laura aided by senior trainers that were taught by Silva himself. The programs have branched out and are used by people in all walks of life and some government agencies such as the FBI have used some of the programs as the Remote viewing program that a fictionalized account was released as a movie; starring Ben Kingsley called “Suspect Zero”. Paul who has been associated with Learning Strategies Inc. For a number of years developed the Photoreading whole mind system which is based on the principles you will find in many of the Vedic texts on education and learning. His seminars are upbeat and positive and the graduates of this program go on to get new jobs and have greater self confidence and the ability to learn and change as America’s job landscape goes through convulsions after the 2008 meltdown of the economy. The latest incarnation of the original program developed in 1986 when this writer was introduced to it (Again in 2004 and when he had to teach it to a group of highly motivated people that wanted to get through college faster). Now the program can teach you to breeze through a book in under an hour and almost immediately of after an overnight incubation periods are able to utilize the material. Which makes it ideal for cramming for a test or just prior to a job interview, where you Photoread 5 books on a given topic, which gives you a holographic view of the topic based on the view points of the 5 authors. This gives you a wider and more in-depth knowledge that if you were only to study one author and their book alone. This Synoptic method is not taught in any other reading program in use. Except for one used in conjugation as an experimental program tied in with the old SRA reading program and in this program 12 books were used on a topic. Music was synchronized with an electromechanical Tabioscope device invented by Dr. Renshaw a psychologist famous for his discoveries about the subconscious mind and perception. If you read Robert A. Heinlein’s “Citizen of the Galaxy you will read a fictionalized account of some of the abilities attributed to a Reshaw expert. Which have been duplicated and surpassed by Photoreaders of today, some who can absorb information at speeds using computer input of up to 90,000 words a minute and able to score 86% on legal testing. During the development of the Photoreading system Parliminal teaching techniques were developed, which feeds different information in to the left and right hemispheres of the brain, which increases your ability to absorb and retain materials that you are learning. The Parliminal concept and the use of special voice techniques became the centerpieces of many other teaching programs over the years and Learning Strategies as well. The list now is much larger that it was a few years ago and the company continues to grow and develop more programs and techniques. Many of these new programs utilize visual methods as well, which come from Yantra Yoga and combine visual with auditory as well. Avant- Garde Thinker and teacher, award-winning writer and Creator of the Einstein Factor and co-Creator of the later Genius code programs. 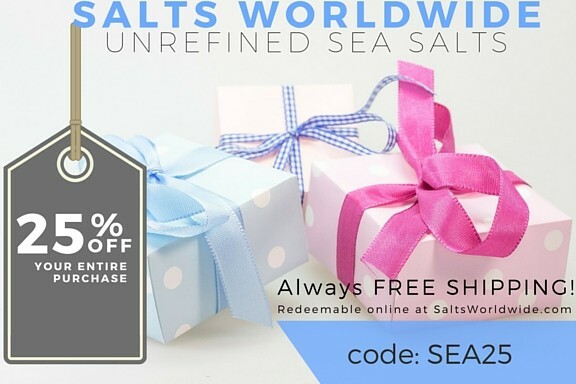 This man who has devoted himself to the benefit making as a whole with his knowledge and teaching insights. Who believes we should go back to the original font of knowledge call the Socratic system and where he develops new methods of learning and education based on the Vedic arts like breathing and sound as well as those developed by the ancient Greek philosophers and thinker, which gave Western Civilization it’s Start. Megalearning uses the voice, rhythmic metering, vocal pacing, Baroque music and color coupled with mental visualization to create one of the most unique learning systems like Win Wenger Donna combines the best of the best together and using her sing-song voice approach that click a switch in your head that turns on you genius mind. She also has expanded upon Gardner’s 8-intelligence theory and broken it down to an additional 4 more making 12 intelligences that allows her to teach you according to each one. This is a fascinating program that this writer repeats each year to further develop and improve learning skills. Many people dislike and say disparaging things about John La Tourette, yet he continues to give seminars and his video and audio products continue to sell. His video are not the greatest quality but he packs each one with cutting edge material from Huna, Silva techniques to how using a pendulum to measure your Chakras and energy levels. He also demonstrates conclusively the power of the body’s energies systems. He is charismatic and is expert in NLP and a host of other modalities and is a real Kenpo master who has the fastest hands o record. Seals and Spetsnaz all wish they could hit like he does and he ranks many as his personal students. His voice and his movements will entrance you and he uses tonal inflections in the Vedic manner to convey information quickly in a manner that is easy to assimilate. You may not like him but he puts the information out and he backs it up with quotes from very old and famous books from his extensive library of self-help and Human performance that goes all the way back to The New Though Movement as well as Theosophy and ancient Vedic Texts as well on occasion. You can learn a lot from this man if you listen with an open mind. In this article we have shown you various ways audio is used to teach various self help topics. Many of them use special voice inflection tonality as well as specialized music to open up the gateways to your subconscious mind. Some even use Singsong to trip that elusive switch in the mind. All of these techniques create change in the listener. Which means it is up to you to investigate any of them that you might wish to utilize for your professional or private self-development. Any techniques can be misused if improperly applied or with negative intent. The Writer has tried to make sure all the techniques showcased are useful and benign with the proper usage. I hope you have enjoy our excursion into the world of Vedic sound techniques updated and improved for the 21st century.